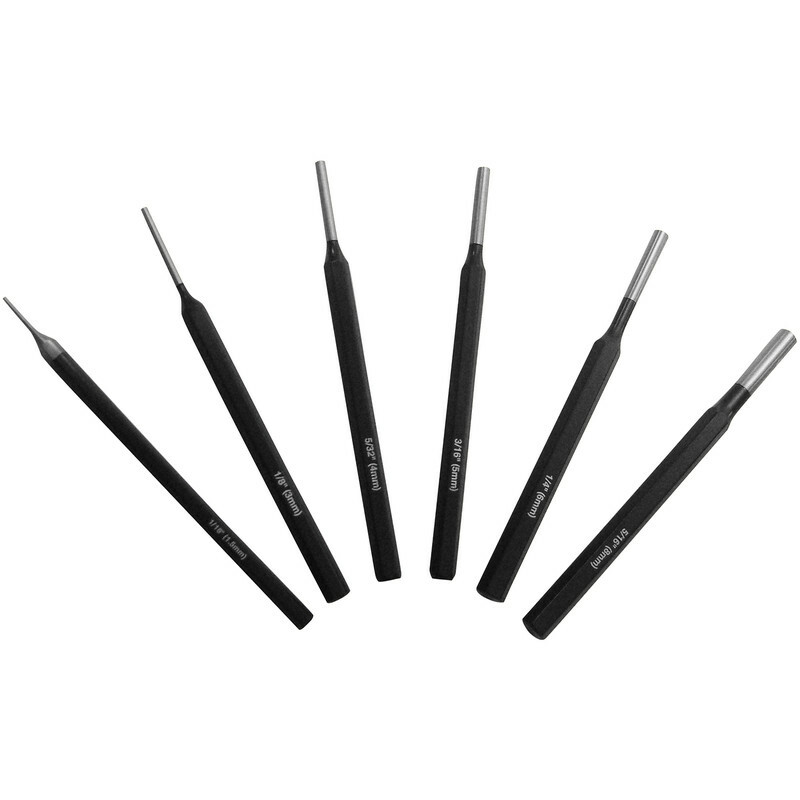 Punches and chisels are made from heavy-duty chrome vanadium steel, heat treated and tempered. Ideal sets for metal work, automotive applications, carpenters and locksmiths. Set contents: 1.5mm, 3mm, 4mm, 5mm, 6mm, 8mm (1⁄16", 1⁄8", 5⁄32", 3⁄16", 1⁄4", 5⁄16"). Roughneck Parrallel Pin Punch Set (6 Piece) is rated 3.3 out of 5 by 3. Rated 1 out of 5 by Lize from Bent on first use AVOID The smallest punch bent on first use when lightly tapping in a panel pin, straighten and not at an angle. I know the thin ones are prone to bending but these are absolute rubbish. Should have known that you get what you pay for, do not be tempted to waste your money. I plan to return them but I don’t often get to the store. Rated 4 out of 5 by BJ51 from Good buy Had a very tight brake pin. Using a cheaper punch set and they bent. Ordered this set on click and collect and knocked it out within a minute. Rated 5 out of 5 by ringo1 from Pin punches Good quality punches at a reasonable price.